In this Tuesday, May 19, 2015, file photo, Joe Jackson poses for photographers as he arrives for the screening of the film Sicario at the 68th international film festival, Cannes, France. 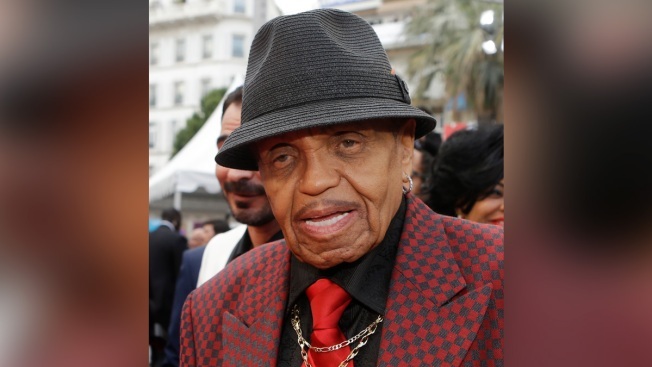 Police say Michael Jackson's father, Joe Jackson, has been taken to the hospital after a car crash in Las Vegas. Las Vegas police said Friday the Jackson family patriarch was riding as a passenger in a car when it was hit by another vehicle that was attempting to make a left-hand turn. The crash west of the Strip happened just after 11 a.m. Friday. The 88-year-old was taken to University Medical Center for observation after complaining of injury. No additional details on his condition were available. Police said the other vehicle was cited for failing to yield the right of way but that there were no signs of impairment for either driver. The fire department declined comment, citing patient privacy. Jackson has lived in Las Vegas for many years.